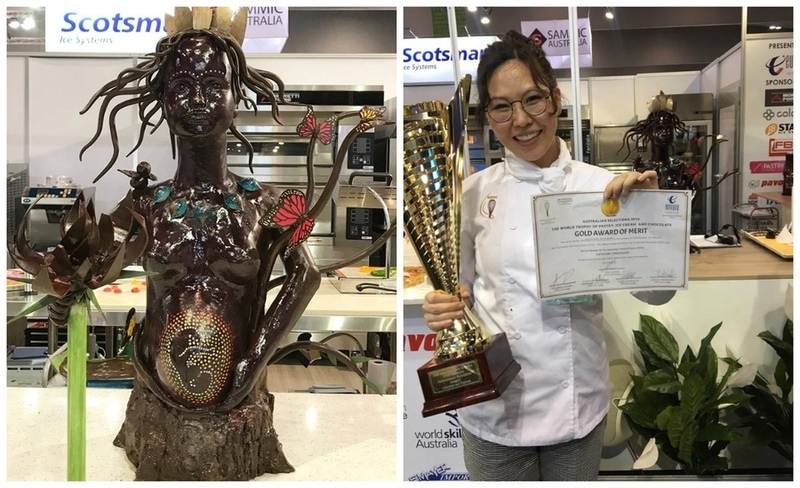 AKIPRESS.COM - Mongolian pastry chef Ch.Bujinlkham won the Gold Award at the World Trophy of Pastry, Ice Cream and Chocolate held in Melbourne, Australia, Mongolian media report. Bujinlkham made a 35kg chocolate sculpture of a woman representing the mother nature. Explaining her chocolate sculpture, she said that the mother nature loves us as its child and we must pay back with love when we grow up. She was inspired by her three-year-old son. The sculpture was made with 35 kg pure chocolate and the decorations were made with the mixture of cacao butter and food coloring. She also made two kinds of chocolate collection, one with seaberry, macadamia nut and Rum and the other one with sour cherry and rose wine. It took her a month and half to make the piece. As a winner of the competition, she will participate in the next World Trophy of Pastry, Ice Cream and Chocolate to be held in Italy in October, 2019.